I only have this on MP3, so I'm guessing that it was a cassette released c1983. Buddy Moore worked live with the CMB's c1982-83 and appeared on Ralph's Live At The Old Homeplace LP, so 1983 seems the most probable date. From Kermit, Wv. 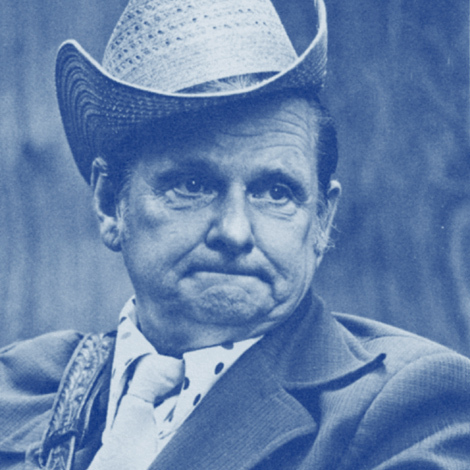 Buddy Moore was nicknamed 'Hook 'n' Beans' by Ralph who introduced him in 1983 saying "he sings it the old time way, and he really puts the feeling (in)to it". On the same show Buddy was introduced as Little Buddy Moore and Henry Moore. Nine of the tracks feature Buddy on vocals, with one instrumental Amazing Grace. Buddy's vocals have a lot of soul, and fit Ralph's tenor nicely, but they are quite rough around the edges in places. In additon to this cassette, he recorded a gospel tape; one as Hook And Beans - The Girl I Left Behind; and another as Sammy Adkins and Buddy Moore - Sweetest Love. As The Hook & Beans band were advertised on the bill for Ralph's 'Hills Of Home' festival in 1989 and 1990, and there's some footage too from the '80s when the festival was relocated to Roxanna with Buddy, Sammy Adkins & Dan Marshall. I'm also guessing that Dan Marshall plays mandolin on the tape, as it contains a song called This Old Town which Ralph recorded as Hometown in 1978 on Down Where The River Bends, and which was written by Dan. If anyone has more info on this tape, or a copy, please get in touch via the Contact page!